Welfare At Work comes under the health and safety umbrella as it is important for employees to not suffer ill health from the working conditions. If you employ anyone, however short the period you must ‘so far as is reasonably practicable’, provide adequate and appropriate welfare facilities for them while they are at work. This means you must provide facilities for employees unless, it is clearly unreasonable in terms of time, trouble, cost and physical difficulty. Welfare facilities include things like washing, toilets, changing areas, drinks and eating areas for use during breaks. Depending on the size and type of business these may be very basic or comprehensive. Some companies offer far more than they have to so they can increase the facilities that their staff can use. There are set levels that must be provided and you can find out more information from the student download area and the Health and Safety Executive links. 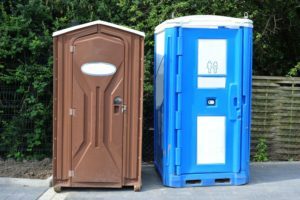 Where staff work off-site or in remote areas, employers may need to provide chemical toilets and washing facilities, such as water containers. The use of public toilets and washing facilities should be a last resort and not used just because they are the cheaper option. This would not be acceptable where the provision of better facilities would be reasonably practicable. Where working in cold areas employers may have to provide cold weather clothing to ensure the working envirnment is comfortable. Drinking water does not have to be marked unless there is a significant risk of people drinking non-drinking water. There is no need for a business to provide a smoking room as it is against the law to smoke inside, however businesses sometimes make smoking areas outside to ensure safety for smokers. There should be a suitable seating area for workers to use during breaks, It needs to be clean and located where food will not get contaminated. There should be washing facilities nearby, and a means of heating food or water for hot drinks. You must maintain good hygiene standards. If the work activity requires your employees to change into and wear specialist clothing like overalls, uniforms, thermal clothing, then you must provide enough changing rooms for the number of people expected to use them.